Join the Jewish Environmental Initiative (a committee of the Jewish Community Relations Council), Missouri Interfaith Power & Light, and USGBC-Missouri Gateway Chapter for a discussion on making a difference by greening your life, your community, and your house of worship. Featuring Keynote Speaker Don Corrigan, Professor of Media Law, Global and Environmental Journalism at Webster University and author of Environmental Missouri. The Keynote address will be followed by two breakout sessions: Greening Your House of Worship: You’ve Started Recycling, Now What? and Greening Your Life & Community: Being Green Outside Your Home. This event is supported by the Jewish Council for Public Affairs and the Coalition on the Environment and Jewish Life. Now in its third year, BUILDING THE HEARTLAND (formerly BuildingChicago/Greening the Heartland) is the major conference and trade expo serving architects, engineers, contractors, property owners, real estate developers, government officials and community organizations in the Midwest. This year the conference will take place August 31 – September 2 at the Holiday Inn Mart Plaza in Chicago, Illinois. The conference will offer two keynote speakers and one keynote panel in addition to approximately 50 accredited learning sessions that will offer AIA CES or Green Building Certification Institute (GBCI) learning units — and, in most cases, both. The program will feature four tracks: Technology, Owner/Developer/Occupant Panels, High-Performance Buildings, and Green Building Tools & Strategies.This unique, three-day event is sponsored by SGC Horizon’s Building Design+Construction magazine, AIA Chicago, and USGBC-Illinois. Members of USGBC Chapters can register for $260 until August 1, discounted from $325. Members of the USGBC-Missouri Gateway Chapter can contact Johanna Schweiss for the coupon code. Learn more and register here. USGBC-MGC is pleased to offer a presentation series which will explore each credit category within the LEED v4 rating system. 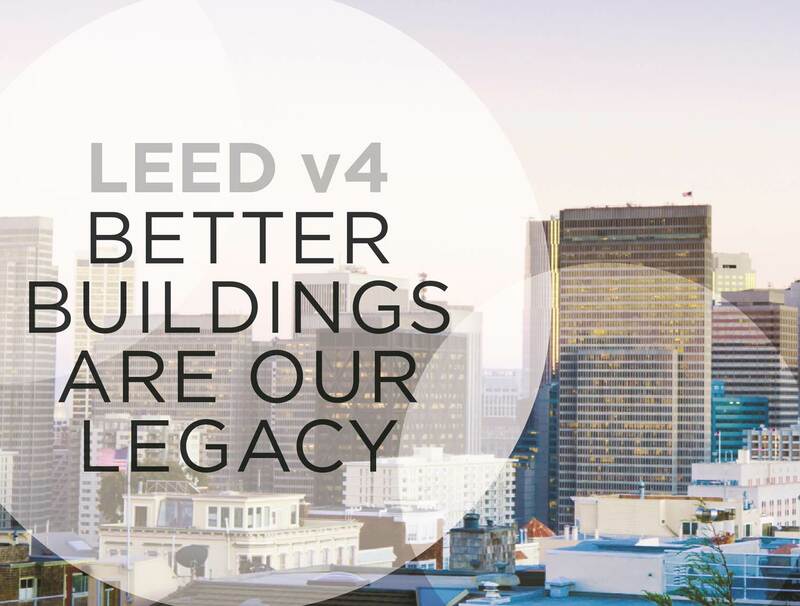 The LEED v4 series will take place from noon to 1:30 pm on Wednesdays July 29 – Aug 26, and be presented by members of the USGBC-MGC Speakers Bureau. Attend one or all. Click here to see a list of attendees for the SS & LT session. Click here to see a list of attendees for the WE session. Click here to see a list of attendees for the IEQ session. Click here to see a list of attendees for the MR session. Click here to see a list of attendees for the EA session. The LEED v4 Users Guide will be referred to throughout the series. This e-book offers charts detailing changes from LEED 2009 to LEED v4 and outlines a Credit-by-Credit summary of changes from 2009. Click here to view the LEED v4 Users Guide e-book! Click on the session titles above to register for individual sessions.